Suicide terrorism in its modern form made its first appearance in Lebanon in the early 1980s. Over the last quarter century, terrorist attacks perpetrated by suicide bombers have spread to many corners of the world and have become a major threat for both the governments and citizens of numerous countries. Can this devastating phenomenon be attributed to a specific religion or culture? What are the causes and motivations that lead ordinary people to embark upon suicide attacks? How are potential bombers trained for their mission? And is it possible for democratic governments to effectively cope with this challenge? In this compelling book, Ami Pedazhur investigates the root causes of suicide terrorism and its rapid proliferation in recent years. Drawing on a variety of sources, the book explores the use of human bombs in Lebanon, Israel, Sri Lanka, Turkey, Chechnya, Iraq, and the ostentatious attacks of Al-Qaeda and the global jihad. It is the only book to offer such an in-depth, up-to-date, cross cultural analysis of suicide terrorism in the twenty-first Century. Chapter 1 What is Suicide Terrorism? Chapter 2 How Can Suicide Terrorism Be Explained? Suicide Terrorism A Strategy for Advancing the Peace Process? Chapter 6 Who Becomes a Suicide Terrorist? "Ami Pedahzur’s articulate and groundbreaking work not only addresses how terrorism occurs, but also why terrorist groups have chosen suicide terrorism as a tactic throughout the globe ... an outstanding examination of suicide terrorism." "A noteworthy and essential addition to the body of literature. Pedahzur adds significant, accessible insight into suicide operations that informs strategic, operational, and tactical perspectives." "Helps us understand the gendered nature of suicide terrorism." "Suicide Terrorism is among the most authoritative and incisive analyses of this subject available. 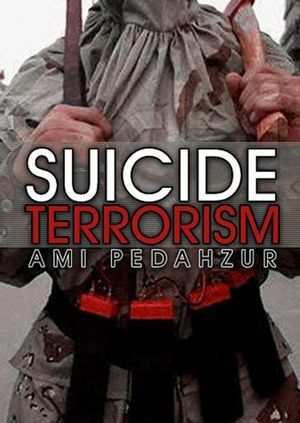 Ami Pedahzur’s meticulous research and trenchant analysis coupled with his direct experience of suicide terrorism’s corrosive effects on society endow the book with a perspective and gravitas unique in the literature. Suicide Terrorism is essential reading for anyone wanting to understand the emergence and growth of this tactic and the best means to counter it." "This is a comprehensive approach to a difficult phenomenon by someone who knows his subject well. Pedhazur writes with the cool clarity of a seasoned social scientist, but with the sensitivity of one who has lived through suicide attacks and can count former students and colleagues among the victims. Comparing cases of Muslim militants associated with Al-Qaeda, Hamas and Hizbollah, with Sri Lankan Tamil separatists, Kurdish nationalists and Japanese kamikaze fighters, he derives a complex analytic framework with cultural, political and socio-psychological dimensions. This book brings our understanding of this increasingly familiar form of terrorism to a new level of sophistication." "Ami Pedahzur has established himself as one of the most astute observers of terrorist violence in general and suicide terrorism in particular. In this work he answers all the crucial questions concerning the when, why and how of suicide attacks. This is an outstanding book by an outstanding young scholar." "Suicide Terrorism is an exhaustive study and provides incisive analysis of the subject." Groundbreaking study of the growing but little-understood phenomenon of suicide terrorism. Traces the emergence of suicide terrorism as a form of political action in wide range of contexts such as Palestine, Sri Lanka, America and Turkey. Explores who becomes a suicide bomber and how these ‘martyrs’ are recruited and socialized by terrorist organizations. Provides new statisical data about suicide bombings and includes original interview material with key figures from terrorist groups.